My business is providing positive pet training solutions. Has your dog or cat’s behaviour created pandemonium in your home? I’ll restore peace with practical, proven techniques. Animal training is an unregulated industry—no required certifications, licenses, or education. So, how do you trust me, a pet behaviourist, to guide you out of turmoil into tranquility? I hold myself to a higher standard because I value your trust. That’s why I completed my MSc in Clinical Animal Behaviour at Lincoln University and earned an internationally recognised credential from Reading University as a Certified Professional Coach. 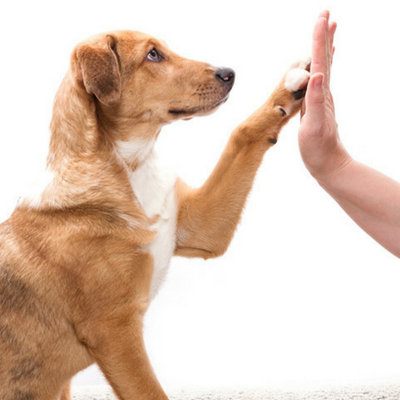 Revel in your pet’s remarkable change with well-founded training techniques I’ve derived from veterinary behavioural experts and Henley Business School. 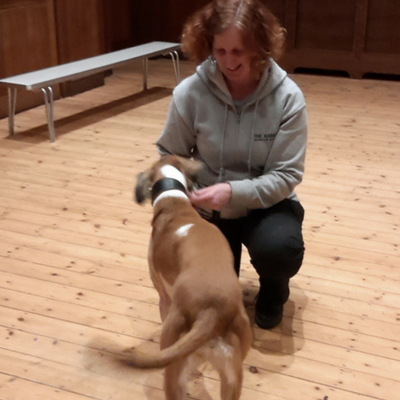 You deserve guidance from a dog and cat behaviourist and trainer who combines the latest animal behaviour modification methods with successful, hands-on experience to help resolve your pet’s troublesome behaviours. That’s why I spent years designing practical pet training solutions for my clients at Blue Cross Hospital, Vet4 Pets Veterinary Practice, and Lincoln University’s Animal Behaviour Clinic. I love creating the perfect training programme—unique to every family and pet—that easily fits into your busy schedule. Enjoy the best from your dog or cat with my customised solutions. It’s my mission to make your life better with the power of positive pet training. That’s why I’ve developed my animal husbandry and training skills for the past 16 years by completing an internationally recognised natural horsemanship training course, rehabilitating rescue dogs for Stokenchurch Dog Rescue, and caring for dogs and cats via my walking and pet sitting business, Walks and Purrs. I’ll ease the burden and stress caused by your fighting felines, howling hound, or peeing puppy. With my support, you’ll delight in your pet’s behaviour. 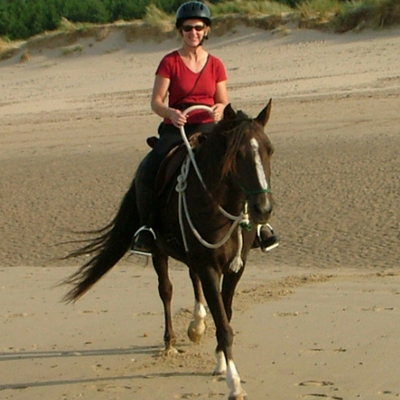 My hot-blooded, highly-strung horse aptly named Highflyer unseated me so often I had head-to-toe bruises. With every new behaviour I compassionately and humanely taught Highflyer, my edgy mare blossomed into a people-loving, confident companion. That’s why I only use gentle, positive training methods while providing effective dog, puppy, cat, or kitten behavioural solutions. Experience the freedom that comes from sharing life with an animal who happily makes good choices while retaining the fun personality you fell in love with — just like I do with my Highflyer. Before I found my life’s calling as a pet behaviourist, I was a customer relations specialist where I listened to my clients’ needs—the first step in resolving any behavioural issue. That’s why I’ll listen to your dog or cat concerns before providing an honest assessment and straightforward solutions, improving your pet’s behaviour—and your quality of life. If you’re losing sleep worrying about dog or cat conundrums, I’ll provide relief. Tell me your pet troubles and I’ll create a personalized training plan to restore calm to your home. Allow me to guide you through training success. Give me a ring.